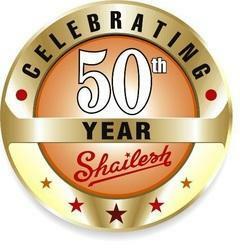 Established in the year 1973, we, Shailesh Machine Tools, are one of the leading organizations engaged in Manufacturing, Exporting and trading a comprehensive assortment of Industrial Machine. Our range is available under categories including Power Press Machine, Press Brake Machine and Shearing Machine. The entire range of this machine is fabricated using optimum quality parts and components, which are procured from the trustworthy vendors of the market. These machines find extensive application in various heavy machining and engineering industries. Under the valuable guidance of our founder “ Mr. Devrajbhai Kawa” and mentor “Mr. Shailesh Kawa”, we have attained phenomenal growth and success in this competitive domain. Their vast experience and knowledge have helped us sail through various challenges of the industry. Kawa to provide its customers high quality products, on-time delivery and ever-improving levels of customer satisfaction. Continuous improvement by modification of existing product to make them cost effective by regular interaction with customers. Ensure quality in tool design and manufacturing, minimize dependence on inspection. Training of employees to make them quality consciousness. Quality is the prime forte of our organization, we aim to maintain consistency in the quality of the products we offer. These machines are designed and developed using high-grade raw material procured from the reliable sources of the market. Complying with the international quality standards, these machines undergo stringent quality tests at every stage of fabrication. Our distribution network assures timely delivery of these machines in the highest quality standards at the client's end. Consistent improvement of the existing product line, by incorporating the specifications detailed by our clients. In order to lessen the efforts of our quality controllers, we ensure quality in tool designing as well as in fabrication. We conduct regular training sessions for our employees, making them more quality conscious. 10th Mile, Tumkur Road, BANGALORE. We are operating with the help of a dedicated team of experts. These experts are employed only after rigorous assessment of their skills and qualifications. These technically sound professionals are assigned tasks on the basis of their expertise. With the help of their tireless efforts and rich experience, these professionals work towards the betterment of our product line. Well-versed with the knowledge of industry trends and market requirements, these professionals are able to efficiently customize the products. Working closely in coordination with each other, these experts lead to the timely completion of the bulk consignments. Being a client-centric firm, we direct all our endeavors towards attaining maximum client satisfaction. With our comprehensive range of Industrial Machines, we cater to the varying needs of a wide client base. Available at the most competitive price, our products are customized on the basis of the specifications given by our clients. With the aid of our wide distribution network, we are able to timely deliver our machines to the clients across various countries including South Africa, Kenya, Tanzania, Bangladesh, Sri Lanka and UK. Our ethical business practices and transparent dealings have been enabled us to develop and maintain amiable relations with our esteemed clients.